I love being in Sweden! The nature here is stunning: Forests, wildflowers, the ocean. As a Dutch girl (especially a Dutch city girl) I'll really never get used to how beautiful this country is. Your dress is a beaut!! Wauw, prachtige foto's! En lief jurkje! That's a really cute dress, perfect for being out in the country. The cutouts really give it an added edge which I like. The countryside looks beautiful there, I would love to go some day. I cannot get over how adorable that dress is! wow,you look truly beautiful here! This dress is so darling! I also love Sweden! Great surroundings and lovely dress! Looks magical! Pretty dress too! What pretty pictures! The scenery is indeed gorgeous. And I love your dress! It looks perfect for summer. 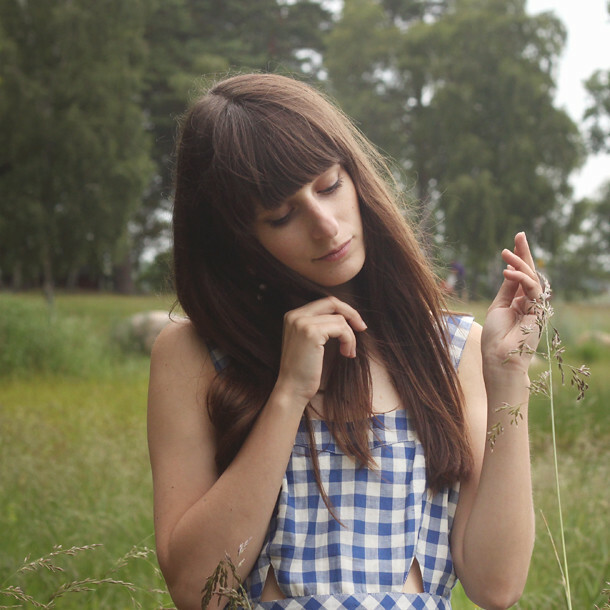 Your blue checkered dress is so gorgeous and summery! I love the unique cutouts on it too. It looks so nice and breezy.